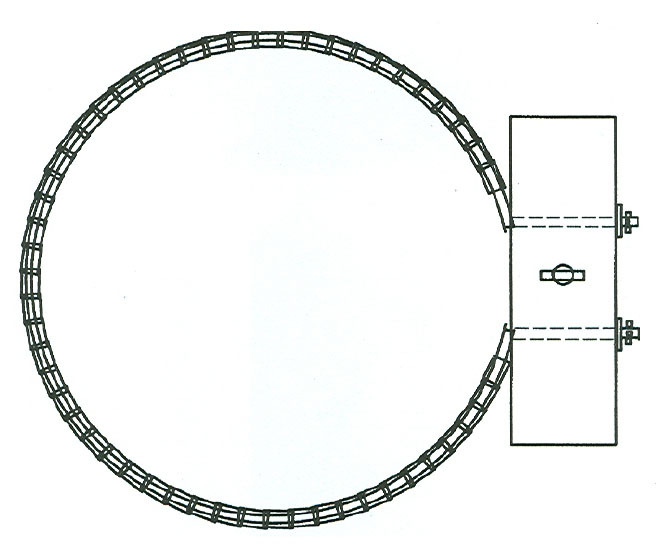 Retainer Rings are generally used with internal halyard flagpoles by providing a means of keeping the bottom of the flag close to the pole and is an aid to raise and lower the flag. 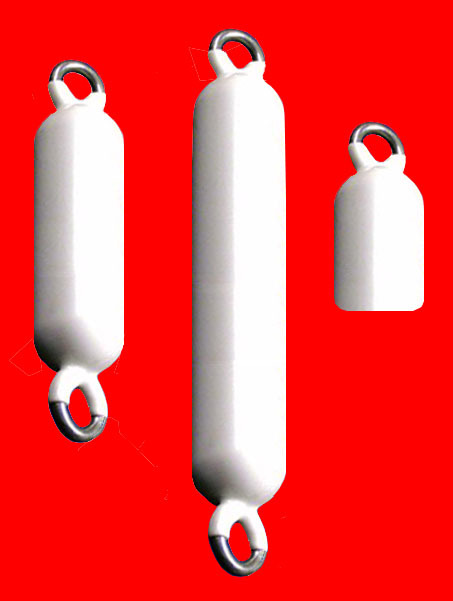 Retainer rings can also be used on large multi grommet flags on both external and internal halyard flagpoles as a means to keep the flags close to the pole. Constructed of 1″ diameter balls strung onto a 1/8″ stainless steel aircraft cable with a stainless steel thimble attached to each end with two copper crimps. Complete with stainless steel quick link. 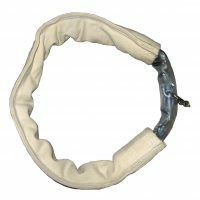 Canvas cover & plastic protector with galvanized chain, 2.3 lbs. Complete with stainless steel bow shackle. Ring assemblies are comprised of a machined lead weight (3 lbs) attached to a .250″ aluminum retainer ring which goes around the flagpole. To aid in reducing noise caused by the ring clanging against the flagpole, the ring assembly also features platic pvc buffer rings covering the retainer ring. A 1/4″ stainless steel eyebolt goes through the lead weight. The flag cable attaches to the eyebolt. 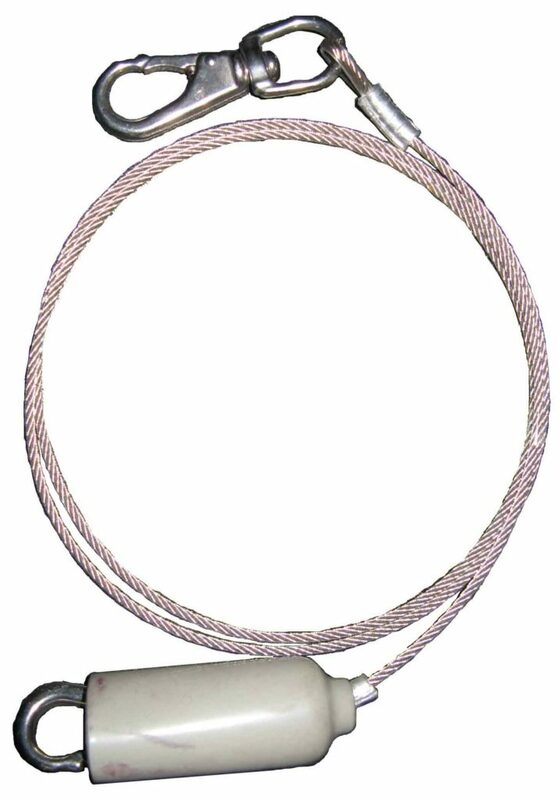 The flag cable assembly is constructed of 1/8″ stainless steel cable with a stainless steel thimble, aluminum sleeve, brass or stainless steel snap attached at each end, and a vinyl snap cover to help reduce noise. 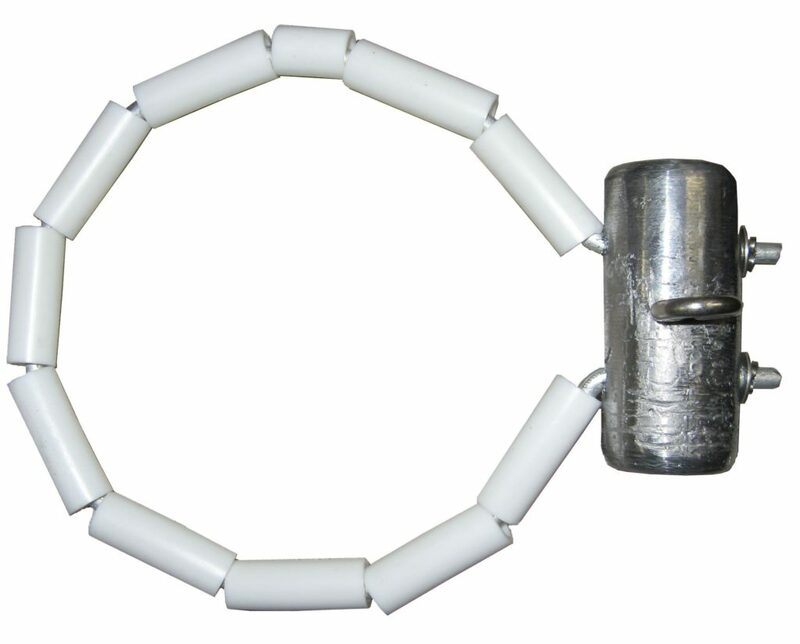 This flag cable arrangement provides the method of attaching the flag to the main cable. For each additional flag, add a flag cable to the flagpole. 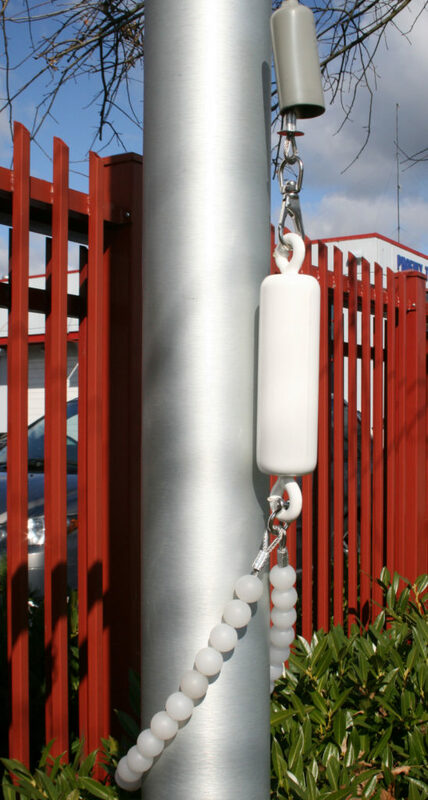 Counter Weights are plasticoated to help reduce noise and to protect your flagpole. The weight is attached to the bottom of the flag cable, a 6mm bow shackle is used to attach the retainer ring to the weight.